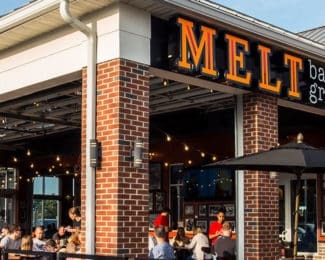 Enjoy Our Deliciously Awesome	APRIL SEASONAL SPECIALS	Check out our awesome April Specials including the After School Special, Springtime War Pig, Fried Green Tomato BLT and Melt Chicken Tenders! 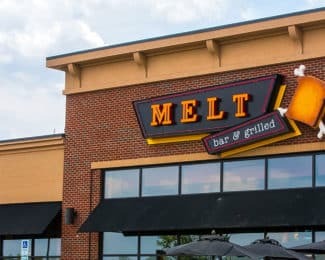 Available At All Locations	GET MELT DELIVERED! We have partnered with your favorite delivery apps to offer delivery during all operating hours! 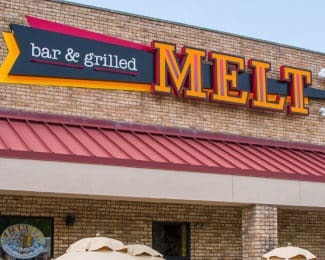 EXPERIENCE MELT'S ALL-NEW	CATERING MENU	Don’t settle for the typical boring party food... Be a superstar and have Melt cater your next party! 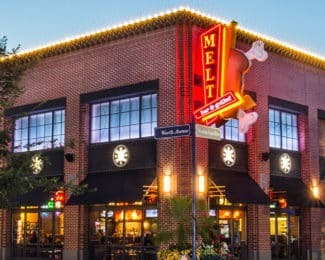 Every Mon-Fri from 3-6 PM: Melt's Exclusive	Happy Hour Menu! Enjoy exclusive food and drink specials from our new Happy Hour menu! 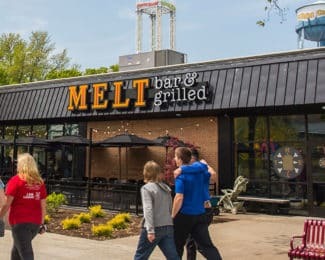 Founded on	COMFORT FOOD	Come experience what you've been missing! $10 FOR EVERY $100 SPENT! 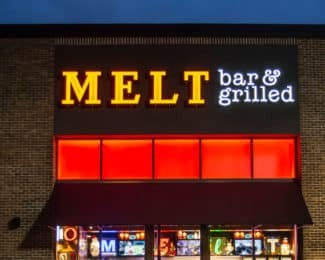 Gourmet grilled cheese. Legendary craft beer selection. 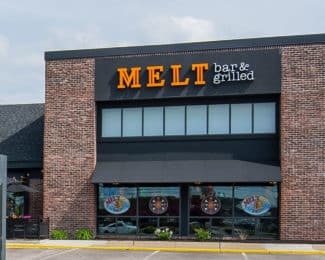 An unforgettable family dining experience! 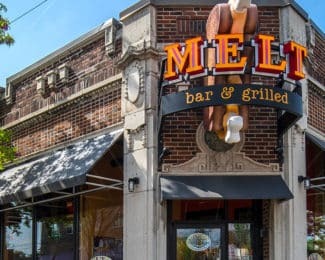 Melt Bar and Grilled has a simple mission: To provide the world’s best gourmet grilled cheese sandwiches and the largest variety of quality craft beer in a cool and comfortable environment. 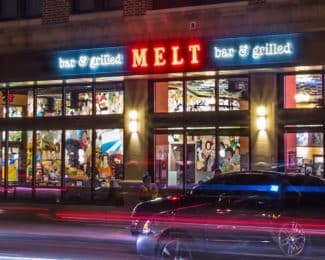 Melt’s atmosphere is relaxing, energetic, and fun. 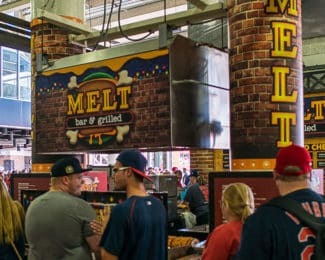 The menu has many favorites but is continually being updated. 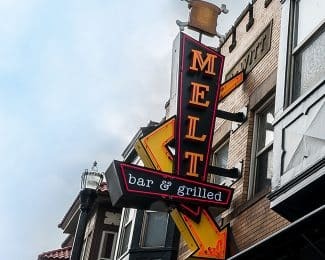 Delicious monthly specials ensure there are always new items to try and a wide-ranging and constantly-changing selection of beers is diverse enough to keep even the most discriminating beer connoisseur delighted. 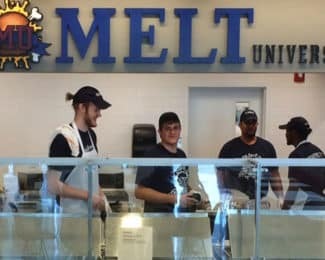 Where the humble grilled cheese sandwich is treated like royalty! 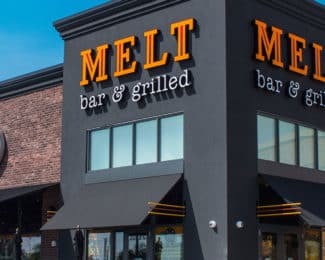 Melt Bar and Grilled was created in 2006 by owner/founder Matt Fish with the goal of providing gourmet comfort food based on his lifelong appreciation for the unassuming grilled cheese sandwich. “It’s simple, it’s good, it’s delicious,” he says.